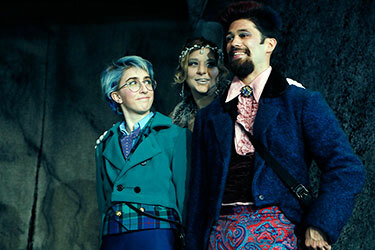 Students who wish to major in Theatre follow a curriculum that includes a study of both fine arts and the humanities. The curriculum is flexible enough to serve both students who plan to transfer to four-year colleges or professional schools and students who wish to pursue a career in a related field. Two curriculum sequences are available. The Performance concentration is recommended for students who wish to pursue a career as a performer. The Technical concentration is recommended for those who wish to pursue a career as a designer/technician. Either track is appropriate for those planning to transfer to a Bachelor of Fine Arts program in theatre. 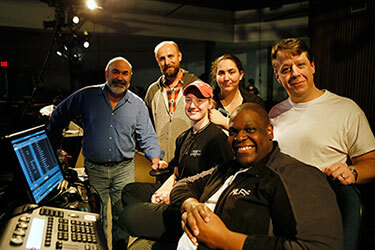 Students enrolled in the CCRI degree program should work closely (starting in their first semester) with an adviser from the CCRI Theatre faculty who is familiar with the program and its transfer requirements. All students must participate in the CCRI Theatre productions. Note: Where possible, take courses in the order they appear starting with the 1000 level and moving up to the 2000 level. Take a balance between Fine Arts courses and Liberal Arts courses each semester. Theatre courses are demanding and require serious effort and time. Full-time students should take a minimum 15 to 16 credits each semester. Many courses require prerequisites, corequisites and/or testing. See course descriptions for details. For more information visit the Theatre website.